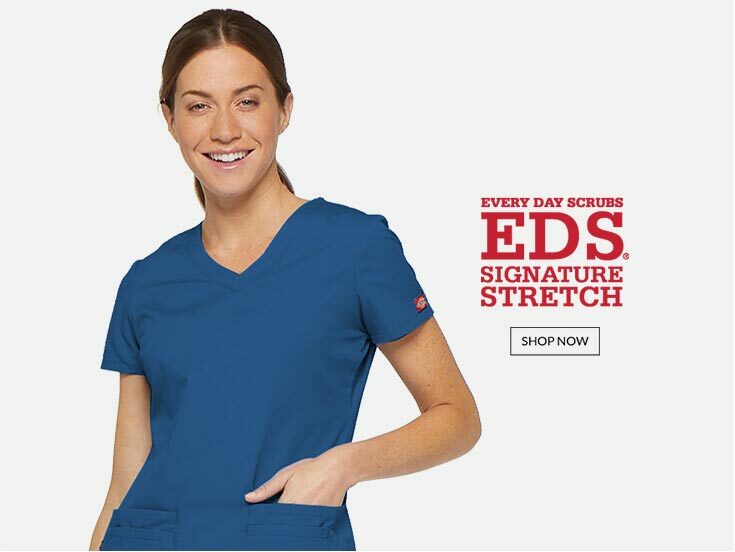 Since 1922, Dickies scrubs has been offering a vast range of medical uniforms featuring comfort and functionality so you will look professional and feel at ease all day long in Dickies scrubs. Dickies uniforms designed for flexibility, durability, and comfort. 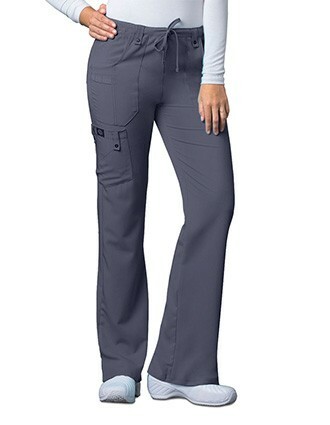 Dickies offer many Basic to contemporary collections to choose from. Upgrade your workwear with help from one of the most trusted names in the medical industry. 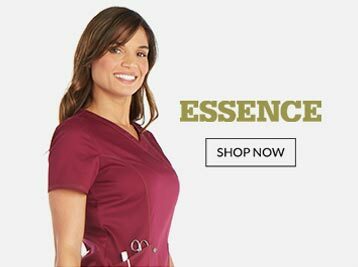 Browse our selection of Dickies scrubs including plus size and colored scrubs for men and women today, and purchase high-quality medical uniform you know you can rely on. 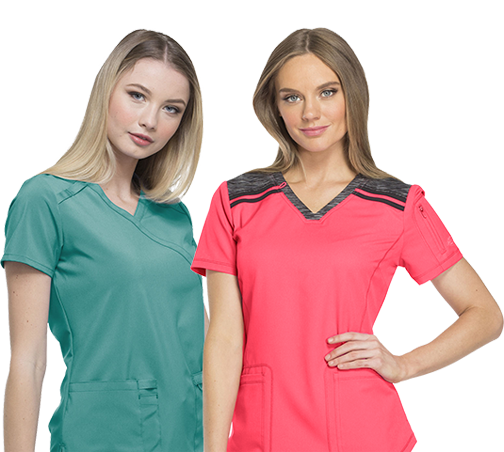 Moreover customize your orders easily, whether you're looking for a single monogrammed Dickies lab coat or a bulk order of Dickies scrub tops with embroidered logo. Take advantage of our online design tool or get in touch for any help with our customer service representative. PulseUniform does have a 100% satisfaction guarantee. 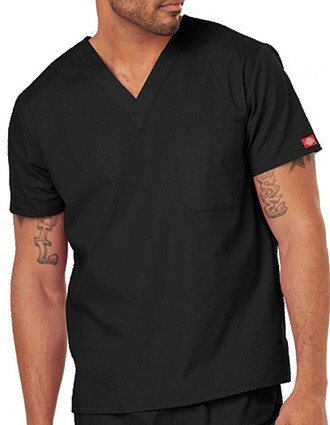 We also offer free shipping on orders over $49, to make the latest Dickies scrubs more affordable than ever. Dickies elastic waist Pant is most comfortable scrub pant I've ever tried. 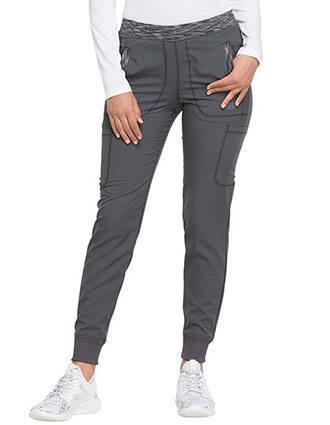 The right-leg cargo pocket sits flat. Though the material is a little bit coarse, it is still comfortable and feels as though it will wear a long time. 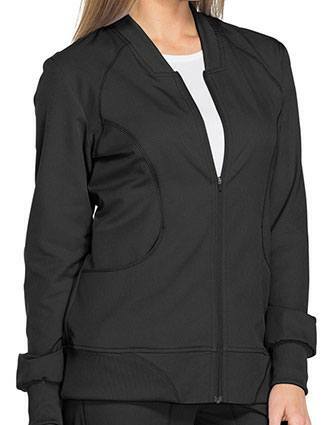 Lightweight fabric, stretchy, and feel so comfortable. Pant run big--I am 5'4", 155lb and a size medium fit me (I originally ordered a size large which was way too big). Even these have room--but fit comfortably. 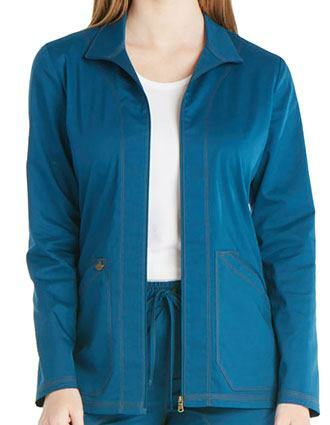 Very flattering on--and have great utilitarian pockets. "Love it won't wear anything else"
I love Dickies EDS Mock wrap scrubs. The cut and the mock wrap is very flattering and feminine. I've ordered several tops in multiple colors. I am planning to order them in all available colors. For the most part, they are true to size, fits perfectly. Highly recommend. 1. 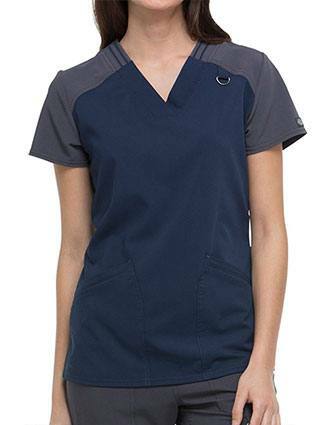 Can I mix and match my Dickies scrubs with other brands? Yes, you can easily mix and match Dickies printed tops with the pair of scrub pants of other brands. But when you buy a solid one, we recommend purchasing a complete uniform from the same collection to avoid color mismatch. 2. Does Dickies have scrubs for short and tall? 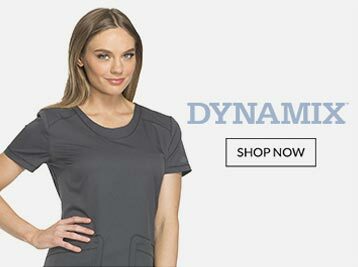 Dickies uniforms are available in a vast range of sizes and lengths. From petite to regular too tall inseam, you can pick the perfect length with ease. 3. 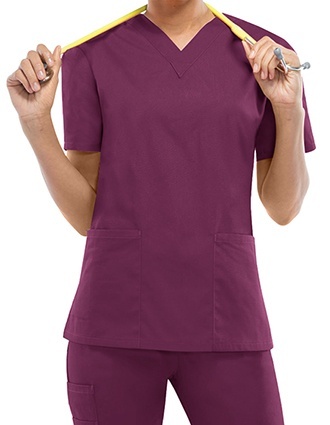 Are Dickies Scrubs stretchable and wrinkle resistant? Yes, Xtreme stretch and Gen Flex collections are not only stretchable but are wrinkle resistant as well. 4. Does Dickies have iPad pocket in the scrub top? 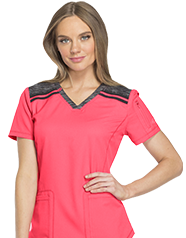 Dickies scrub tops don't have a separate iPad pockets; they only have regular pockets that can be utilized for your IPads and tablets. 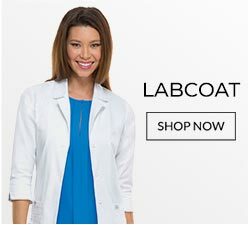 However, the unisex lab coat 37" with style number 83404 comes with an Ipad pocket. 5. 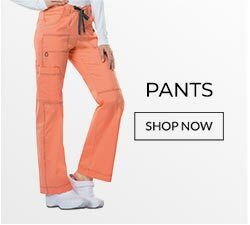 Which of Dickies women's scrub pants have more than two pockets? 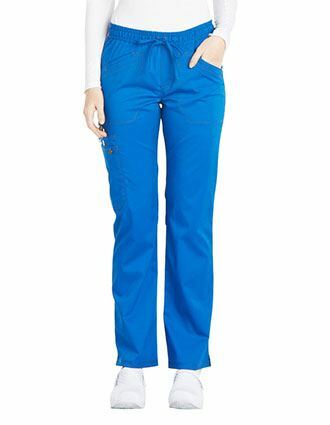 Dickies GenFlex Youtility Nine Pocket Scrub Pants has two cargo pockets, two large pockets, shaped pockets at front, with sectional pockets, and ID bungee loop.